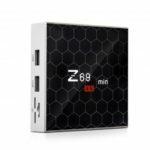 This T95Z Plus 4K TV Box is equipped with Octa-core ARM Cortex-A53 CPU up to 2.0Ghz and Mali-T820MP3 GPU up to 750MHz. 3G RAM + 32GB ROM, ensures high speed and stability of the operation system. 4k x 2k output brings you crystal clear images and 4K ultimate HD video. 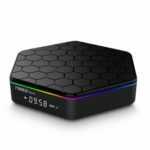 Comes with LED digital display function,1000M LAN Ethernet,BT 4.0,turn your TV into a smart TV instantly with the T95z Plus Android TV Box. Equipped with Octa-core ARM Cortex-A53 CPU up to 2.0Ghz and Mali-T820MP3 GPU up to 750MHz. 3G RAM + 32GB ROM, ensures high speed and stability of the operation system. 4k x 2k output brings you crystal clear images and 4K ultimate HD video. 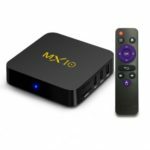 Comes with LED digital display function,1000M LAN Ethernet,BT 4.0,turn your TV into a smart TV instantly with the T95z Plus Android TV Box.